I tend to buy a fair bit of my restoration supplies from Frost, so as a result I’m always looking on their website for new products or special offers. Recently I was told about something called “Liquid Wrap” which is exclusive to Frost. There are things out there called “Plasti Dip” and plastic coats, but this was different. This is not for marking tools or applying a new handle to something. This coating is a spray on product that creates a rubber peel-able layer which is made up of thin applications. Once sprayed on and allowed to dry this will form a smooth matt finish, it will stay flexible and can be peeled of at a later date if required. Give your car a brand new look and at the same time protect the bodywork from the stone chips and bad weather conditions. The Brand – New – Look has never been easier! Frost Liquid Wrap is a flexible liquid coating applied to the vehicle in numerous coats to build up to a professional finish, not only visually, but as a protection for the original paintwork, alloy, plastic, rubber or any exterior or interior surface, to which it is applied. Liquid Wrap is specially designed to be sprayed on – Unlike Plasti Dip texture, you don’t need to use any extra thinners to give you the thin, air brush finish. Just simply deliver several wet coats and you will be impressed with the final result! This is not a general purpose rubber coating designed for dipping tools – The rubber coating spray from Frost Auto Restoration Techniques is manufactured specifically for use on vehicles and produces a smooth and flawless, texture free, near perfect finish. This product is manufactured in UK and for the European market! So, the product seems to talk the talk, lets see if it’s as good as it claims to be. Thinking about what I could spray paint I had a few ideas, obviously my paintwork (at the moment) does not warrant the protection offered by the “Wrap”. 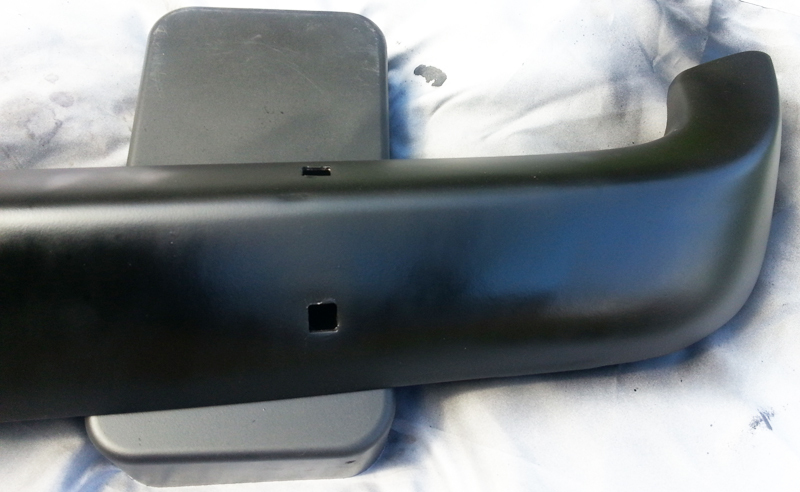 A decision was fairly easy though, I am going to coat my chrome rear bumper of my Mustang. This is polished and it top condition so I want to preserve it that way, at least until my paint job is done and the body work assembled properly. I was also going to spray “Wrap” an old 12″ adjustable spanner for comparison. The surfaces of the spanner are uneven and I could show the peel process for the product. Warm sunny spells with slight overcast, very slight breeze. First thing I would say about this spray is this needs a real good shake to get the mixture going. When I first received this I did a quick test spray after a short shake and I got the body of the spray out with no colour. A good shake after a couple of minutes mixed the pigments properly and the spray was indeed black tinted. I made sure that after spraying for thirty seconds or so I gave a few more good shakes. It can’t hurt to keep it well mixed so it’s a good habit I have now gotten into. So, I have selected my test piece(s), it’s recommended to tape or mask up the areas you don’t want wrapped. This was not necessary for me as I wanted the whole outside of the chrome covered. I placed the bumper on a couple of plastic trays to keep it of the ground while spraying. I masked a tiny part of the spanner. First thing to notice on the can is that there is a good quality spray nozzle, it’s not the very best I have used, but certainly one of the better ones. Pressing on the nozzle produces a fine mist spray in a vertical line spray pattern, the spread of the spray was a few inches wide by around 8″ or 10″ (inches) long. This made the application of the spray and control easy right up to an edge. 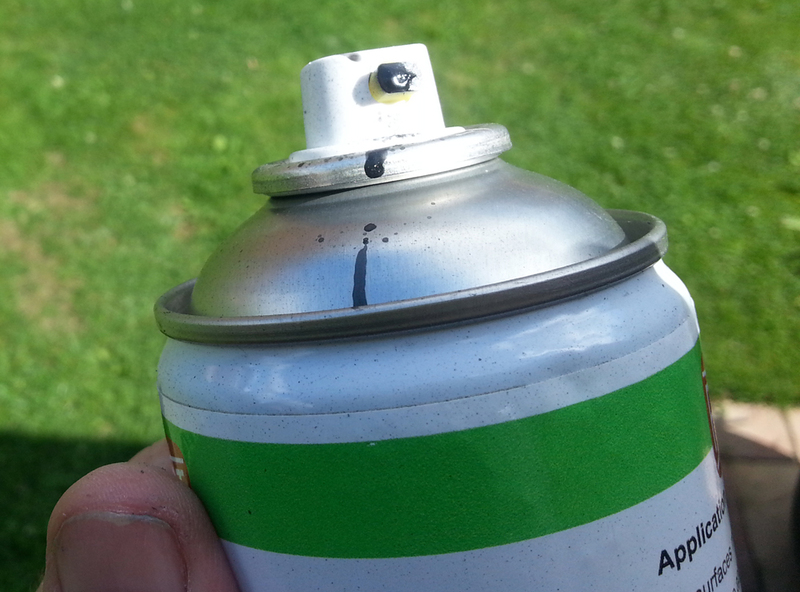 The directions on the can says to “Spray 25 – 20cm from the desired surface. Apply in 5 or 6 thin wet coats”. The thin layers or coats are built up to form a thicker single layer of the “Wrap”. Each layer bonding to the coat underneath. If the spray is to thick it tends to form an uneven surface (orange peel), like over-spray from normal paint spray cans. The thin layers make sure a smooth surface is achieved. Even my heavy applied layer at one end was evened out by the additional coats I applied. The first coat provides an almost dull effect of the chrome, with just a tiny hint of the grey colour. At this point I was thinking this will not work. The whole of the bumper was sprayed as directed by the can. By the time I had to the other side of the bumper I had worked out the spray rate and the distance required for the even spray application. I also sprayed the spanner for the comparison the same style as the bumper. I will repeat this coating technique for the spanner for each application of the coats to the bumper. By the time I had got to the other end of the bumper the first layer was almost dry. I then got back into position to repeat the process for the second coat to be applied. Again starting from the left going to the right. (Also spraying the spanner). At this point it is now just starting to show the colour of the “Wrap”. Same process was followed but this time the second coat took a fraction longer to get to an almost dry tacky state. The third coat was an exact replication of the of the previous steps. Drying time was the same for the second coat. (Also spraying the spanner). Exactly the same process again. Each time the colour is getting darker. (Also spraying the spanner). Exactly the same process again. fifth coat right side before the “Wrap” had dried. I applied a sixth and final coat. This last coat seemed to finish the layer(s) and looked smooth. Once dried the texture was satin and the feel was a slight drag like you get on a rubber coated tool of some sort. The spray nozzle was remarkably clear. The spray gave a consistent spray pattern every time it was applied. There was no spitting of spray leaving lumps or bubbles in the coating. The spray can covered the complete bumper with six thin coats, not forgetting the little sprays on the adjustable spanner, that would account for another eighteen odd inches or so to be added on. As I mentioned above I wanted the “Wrap” to stay on the chrome bumper while it was in storage. I coated an old 12″ adjustable spanner with a little masking on the top to show the removal process. The “Wrap” was indeed flexible and was able to be peeled off quite easily. Once I had put the camera down to start the peel properly. Here is a sequence of the photos showing the removal. I have watched the application of the “Wrap” on the Frost’s YouTube showing how it worked. I am always a little sceptical as you have professionals doing it in a controlled environment where everything is just right. The funny part of this is that on the first spray I had no belief that this would not work. I stuck with it and continued with the layering process. Each application of layer my confidence grew and I was starting to believe that maybe it would work. By the time the sixth and final coat had dried there was this very nice smooth matt black finish. There was no running of the “Wrap” down the sides of the bumper that I was expecting. There was no dripping through the mounting bolt holes on the inside of the bumper that I was also expecting. I put the bumper away into the plastic sleeve that it had previously been stored in and mounted it back on the garage wall. Out of the direct sunlight the colour was clearer to see as well as the texture, so I took a couple more pictures. There is a very clear note on the can: “wash with soap, water and hose pipe only. NO Solvent or Caustic must be applied”. That lead me into thinking what could I do with that, yep, find out why! Red rag to a bull for me that statement. The trays that had the bumper resting on it for spraying obviously had some over spray on them. I sprayed primer over one part, then I used WD40 on the other and 3 in 1 oil on the spanner. Just to see what would happen of course. The results were the primer did not affect the “Wrap” and was able to be peeled off without any problem leaving a line where the “Wrap” had stopped. The WD40 rubbed the “Wrap” off completely from the plastic tray, this left a slightly sticky surface. A second application cleaned it off with residue with no evidence of the “Wrap” being there at all. The oil on the spanner didn’t seem to effect the “Wrap” at all. This is all shown in the YouTube video. I tried hard to think of a reason not too. The price is comparable to other primers on the market if not cheaper. The fact this is removable and replaceable time and again is a bonus. There are various colours out there and also a clear coat. This product would be ideal for the front of a car where the potential for small stone chips could be avoided. The annoying plastering of dead bugs stuck to paint work, these could be peeled away when arriving at a motor show without having to wash the car! Apply a layer of this onto the chrome parts of a wheel to stop brake dust? The fill qualities of this product are excellent as you would expect from so many layers. This was evident from the adjustable spanner where the “Wrap” filled the uneven surface to make it a smooth matt finish. I am very impressed with this product and it looks like Frost have got a great product here, on top of that – it’s exclusive to Frost as well! Would I buy it again? A big fat YES from me. Would I recommend it? YES I would without a doubt. The only down side is that it can be attacked by something like WD40 or similar products, Plus Gas and Gibbs Brand also removed it. The Gibbs Brand did it in one wipe! Perhaps it could be improved by applying less layers? There must be a reason for the multiple layers to be applied as they say. Some applications like wheels would require a base coat before the final layers. The uses for this are limited to the imagination. 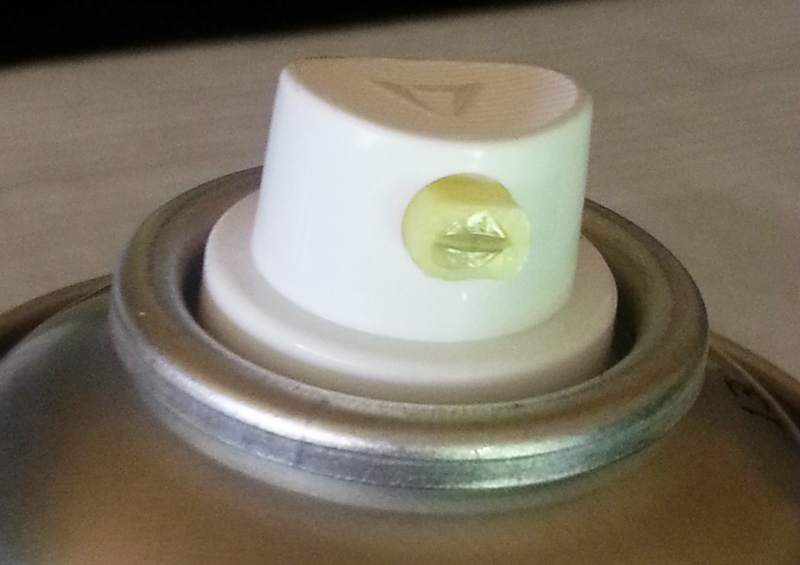 I can see this being used in all sorts of places that needed to be water proofed, like on the distributer cap for example, cracked fog light could be repaired to stop moisture getting in on a temp basis while a new one is sourced. A removable protective layer for plastic kick plates to take the slight knocks and so on. Once my car has had its paint job there will be a supply of this on my shelves!